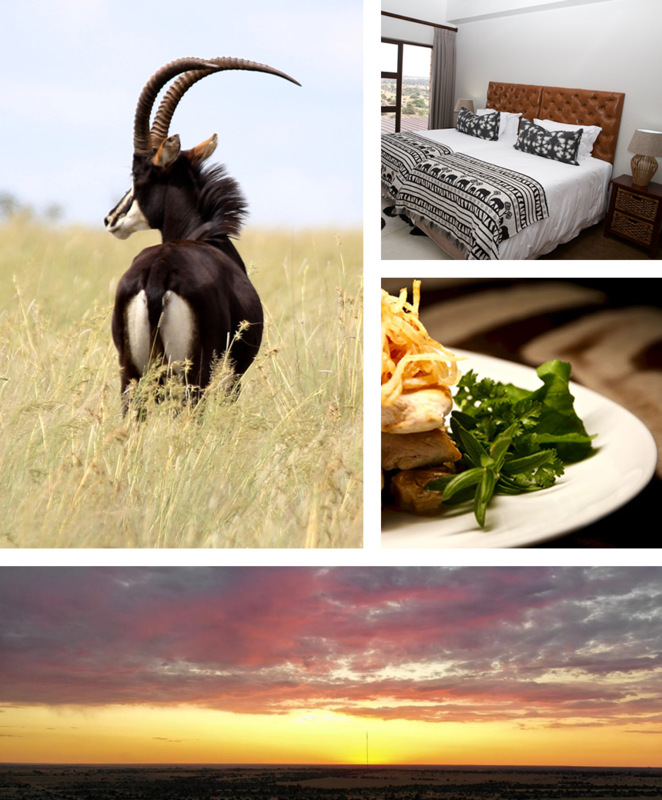 NAHLA Safaris is located within a Malaria free area on a vast stretch of land in the breathtaking North West province of South Africa, between the small towns of Schweizer-Reneke and Vryburg. It is within these fields of bushveld, scattered with thorn trees and shrubs, where your African safari dreams will be realised. 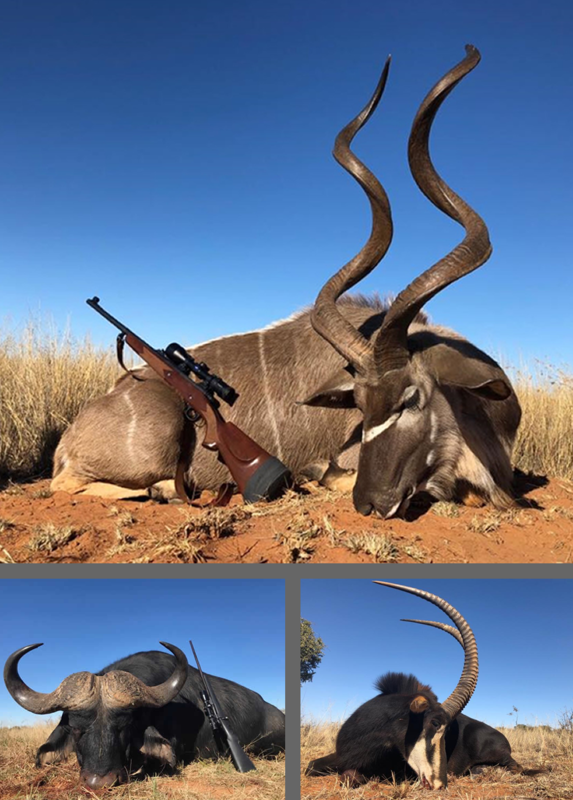 As a family owned and operated outfitter, we pride ourselves in offering unique and customised African hunting encounters to the novice, as well as the experienced hunter. We strive for excellence and therefore ensure that you receive only the highest quality of trophies. The word NAHLA can be translated to: “a drink of water” and as the name suggests our luxury country house accommodation will serve as an oasis after a long day under the African sun. The exclusive safari country house is nestled on a spectacular hilltop, providing guests with beautiful views of Africa and her wildlife. Our six en-suite rooms offer the finest décor and amenities, enveloped in a true South African ambiance.  Our specialised group of staff places a strong emphasis on personal service and their dedication and passion will ensure that you have a hunting experience never to be forgotten. The game farm NAHLA was born from Cobus Smit and his family’s vision of a house on a hill, overlooking grazing buffalos on the South African plains. In 2017 the family made the decision to share this dream with the world and from this, Nahla Safari Outfitters and Luxury Country House weres established. The family’s love of wildlife and South Africa can be seen in every detail. Nahla is situated on 2300 hectares of bushveld and is the proud home of the Buffalo, Sable, Roan, Tsessebe, Eland as well as 20 other wildlife species. It is also rich in birdlife and indigenous flora, making it a hunting, photography and safari paradise. At NAHLA Safaris we pride ourselves in providing ethical and sustainable hunting expeditions to the skilled and adventurous hunter.